In the world of water sports, Peter J. Cutino’s name is synonymous with excellence. College water polo player across the country — both male and female — work and train to earn the coveted Peter J. Cutino Award, Water Polo’s version of the Heisman Trophy. Ironically, Pete Cutino nearly died by drowning in the Carmel River in California when he was six, but a relative pulled him from the river and taught him to swim. He competed in his first swim meet as a seventh grader, and finished by beating the best swimmer in the class above him. Cutino starred at Monterey High and Monterey Peninsula College (making their hall fame in the process), and then became a three-time all-conference water polo player and record-setting swimmer at Cal Poly San Luis Obispo. Coaching, like swimming, also came naturally to Cutino, and he led Oxnard High’s swim team to five county titles while leading the water polo team to an 80-12 record. He would move on to the University of Cal-Berkeley in 1963, and lead the Golden Bears to eight NCAA championships and four runner-up trophies, the best winning percentage in history (.740). He has won four conference Coach of the Year awards and four NCAA Coach of the Year awards, and served for four years on the technical committee for FINA (Federation Internationale de Nataion Amateur), the world governing body for water polo, swimming, diving and other water-related sports. 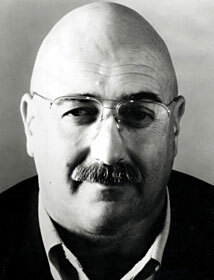 Cutino was inducted into the U.S. Water Polo Hall of Fame in 1995, served as a deck marshal for the 2000 Olympics, and was elected to the National Italian American Sports Hall of Fame in 2001.